Getting a long arm machine for quilting is no small decision. It requires a lot of thought, some planning, and of course, an investment. Today, we are going to look at some of the best machines on the market. Where will you put your machine? Do you need to make some extra space for it? What are you willing to spend? What will you do if your machine needs servicing? 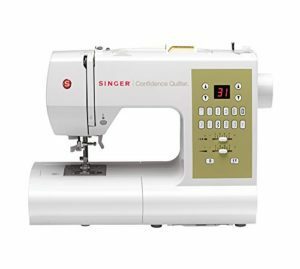 Once you’ve thought through each of these questions and have decided to go ahead and buy one, it’s time to think about the characteristics of an ideal long arm quilting machine for home use. First, it should be user-friendly for quilters of all skill levels. In addition, operating the machine should be simple enough to be fun, allowing you to get lost in your quilting projects for hours at a time. Many different types of quilting exist, including foundation piecing, English paper piecing, embellishment, reverse applique, and more. If your machine is simple enough for you to perform any necessary maintenance, that’s also a plus and will save you money over time.